The only reason the water levels flooding the City of New Orleans quit rising in the days following Hurricane Katrina was that the water in the City was at the same level as the water in Lake Pontchartrain. The breaks in the floodwalls along the Industrial Canal, the London Avenue Canal and the 17th Street Canal continued for days allowing water into the town, and nothing the Corps of Engineers was doing could stop water from seeking its own level. More than 80 percent of our historic town was under water, with some sections, like the Lower Ninth Ward, New Orleans East, Gentilly, and Lakeview taking the brunt of the inundation. The Gentilly building of Celebration Distillation was not spared. In particular, the “Rube Goldberg” Erector®-like set of tanks, hoses, storage bins and heat-fired distillation apparatus was in shambles. What was not ruined was so full of muck and water that future use at best was probable, likely impossible. Along with so many prized possessions of other New Orleanians, to the trash heap went a lot of investment used to manufacture the three flavors of Old New Orleans Rum. What to do? Well, since the operation had grown in a fits-and-jerks, trial-and-error kind of way, here was a chance to take full advantage of everything learned and put the distillery together in a more proper fashion. 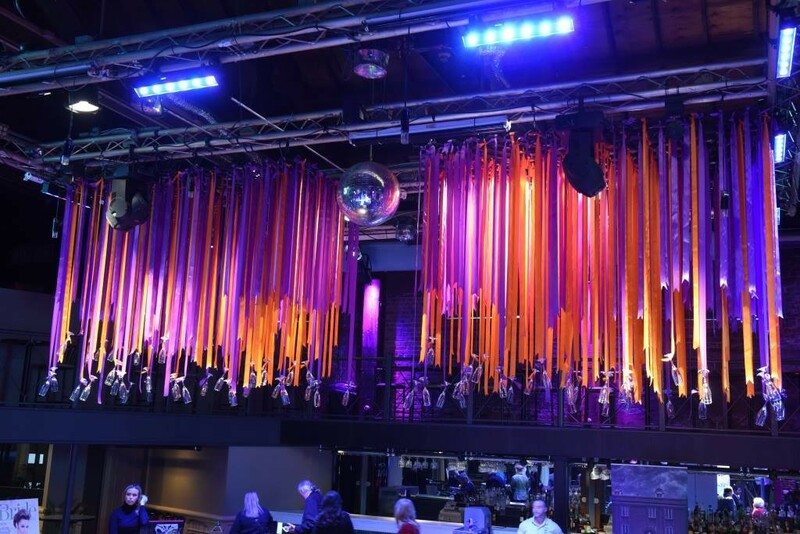 It was not going to be confused with anything coming out of a planned interior from New York City – this is New Orleans, after all, and this is Old New Orleans Rum – but now came a real opportunity for a new beginning. Both for the City and Celebration Distillation. So it has come to pass that today, Old New Orleans Rum is still in an out of the way rustic building, across the street from a major concrete plant and reached by pot-holed streets that will test the best suspension system of any car brave enough to challenge the thoroughfares. The product itself has evolved into a world-class spirit, and has been embraced by consumers and mixologists all over town and beyond. Atelier Vie is another distillery in the city’s boundaries, and at the moment, while there are no rums on the horizon, there is now on retailers’ shelves a vodka made at their Broad Street facility. While most vodkas are about 80 proof, 40 percent alcohol by volume (abv), Buck 125 weighs in at a hefty 125 proof, more than 60 percent abv. That well exceeds the range of bottled bourbon. As proof – pun intended – of what he speaks, Haas is also ready to release an absinthe, Toulouse Red, based on the same starting point spirit used in the Buck 125 Vodka. Only thing between the marketplace and Toulouse Red Absinthe is the approval of the Federal Government. Thibodaux is a place renowned for adult beverage consumption so why not place a manufacturing facility right in the city limits? Saves annoying transportation and handling costs. D-P Distillers, a project of friends, Tom and Beth Donner, and Henry and Jennifer Peltier, is just about ready to crank up production of rum, vodka and gin. They have built a distillery from the ground up, complete with tasting and sales room, and the D-P gang has lined up their base agricultural products, all of which are from Louisiana. Their German-fabricated column still and fermentation tanks are ready for working as soon as full permitting is forthcoming from the state. First liquid out of the distiller will be Oryza Vodka, an 80-proof, gluten-free product, made from Louisiana long-grain rice grown in the Crowley area. Oryza is the Latin word for rice. Works, huh? Also, there will be a gin, using the same rice base and 17 botanicals. Same name, Oryza. Then comes the rums, one an over-proofed spirit, the other two a spiced and a dark. They will be called Rougaroux, which is the boogey-man Cajun parents threatened their children with when they would not behave or stay out of the cane fields. Sort of a loup-garou scary being, but with a bent for cane. If all goes according to plan, and when does that ever happen when dealing with the state and federal government, all products should be available by year-end. The spirits will be distributed by the Budweiser empire, Mockler in Baton Rouge and Southern Eagle throughout the New Orleans area. Also in Cajun Country is another quite ambitious project, Louisiana Spirits, that is ready to make good use of the cane fields surrounding their new, from the ground up, $5 million facility in Lacassine. That’s Jefferson Davis Parish. Oh, that still may not explain where they are. Between Lafayette and Lake Charles, just off I-10. Okay, if you are still lost, maybe a Louisiana map would help. Find one here, and please don’t leave the city limits of New Orleans without GPS. You obviously will become very lost. 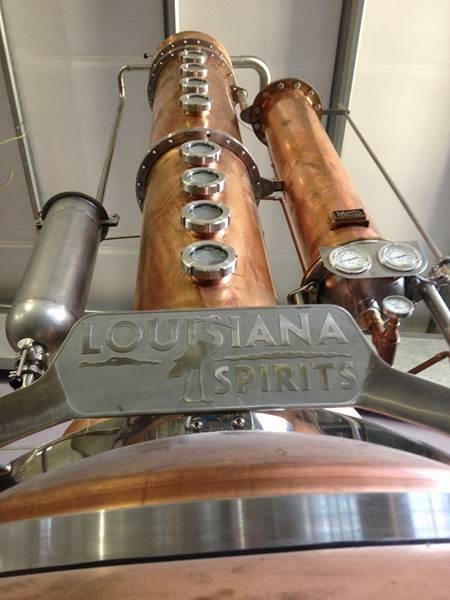 Louisiana Spirits is going to be a major manufacturing and tourism force in South Louisiana. They are building some incredible facilities, including moving a 1903 farmhouse onto the property to demonstrate life on the Cajun Prairie back at the turn of that century, with natural settings like a stand of cypress trees, two ponds, and, of course, a field of sugar cane. The distillery itself will feature full views for visitors of the distillation area, barrel room, bottling lines, as well as a gift shop, tasting room, and stage for events and concerts. The distilling unit is column style, completely crafted in America, with fermentation and storage tanks. There is enough copper throughout the installation to make a poacher salivate. My guess is the security is pretty tight, just in case you were getting any ideas. We can expect to see rums later this year, or maybe early next, at the latest. One of the keys to establishing this new distillery, as well as all the other new facilities of this type, was that the Louisiana Legislature, brace yourself, actually did something pretty darn good. They established fair and decent laws regarding the sales of product at these distilleries. Celebration Distillation started the trend when they convinced lawmakers to allow them to sell product to visitors. But they were granted this privilege based on the fact that they, as far as Louisiana was concerned, were “historic” – they are now the oldest rum distillery in operation in the continental U.S. – and were located in an historic district. Maybe Gentilly is stretching that point but what works, works. Go with it. When the others wanted to play in the same industry in the same state, the state legislature actually accommodated them. And that’s good for all concerned. A toast to the Louisiana Legislature!! Which may be one of the few times we are able and happy to do that. Hopefully it won’t be the last time. Anyway, entrepreneurs and people with a dream are stepping up, taking our state’s most important agricultural products and using them for another purpose. Louisiana rum, absinthe, vodka, and gin can be supported and enjoyed by all of us. We don’t have to work hard to do it. If you are believer in using products made close to home, not sacrificing quality in any way, here is a way for you to be a good patriot. It does not get much easier, or more pleasurable, than this. You’ll feel good on all sorts of levels.